NOTE: This article is the final installment of a four-episode mini-series posted here starting in mid-January. In writing it, I have assumed my readers have read those three earlier pieces. 1. Solve it as quickly as you can, in your head if possible. Let your mind jump to the answer. 2. Then, and only then, reflect on your answer, and how you got it. The goal here, I said, is not to get the right answer, though a great many of you will. Rather, the issue is how do our minds work, and how can we make our thinking more effective in a world where machines execute all the mathematical procedures for us? What answer did you get? And what did you learn from the subsequent reflection? Before I continue, I should note that the use of this problem (which you can find in many puzzle books and on countless websites) in the context of trying to maximize the human mind’s innate abilities in order to become good 21st Century mathematical thinkers, is due to Gary Antonick, with whom I co-taught a Stanford Continuing Studies adult education course last fall. It was in that course that I gave the second iteration of the UPS problem I subsequently based my Nueva School course on. The discussion of the bat-and-ball problem that follows is the one Antonick presented in our course. Here is, most likely, what your mind did to get to that 10¢ answer. As you read through the problem statement and came to that key phrase “cost more,” your mind said, “I will need to subtract.” You then took note of the data: those two figures $1.10 and $1. So, without hesitation, you subtracted $1 from $1.10 (the smaller from the larger, since you knew the answer has to be positive), getting 10¢. Notice you did not really perform any calculation. The numbers are particularly simple ones. Almost certainly, you retrieved from memory the fact that if you take a dollar from a dollar-ten, you are left with 10¢. You might even have visualized those amounts of money in your hand. Notice too that you understood the mathematical concepts involved. Indeed, that was why the wording of the problem led you astray! What you did is apply a heuristic you have acquired over many financial transactions and most likely a substantial number of arithmetic quiz questions in elementary school. In fact, the timed tests in schools actively encourage such a “pattern recognition” approach. For the simple reason that it is fast and usually works! We can, therefore, formulate a hypothesis as to why you “solved’ the problem the way you did. You had developed a heuristic (identify the arithmetic operation involved and then plug in the data) that is (a) fast, (b) requires no effort, and (c) usually works. This approach is a smart one in that it uses something the human brain is remarkably good at—pattern recognition—and avoids something our minds find difficult and requiring effort to master (namely, arithmetic calculation). And this time, you get the correct answer. Whether or not you can do the calculation in your head, it is of course entirely formulaic and routine. Unlike the first method I looked at (a heuristic that is fast and usually right), this method is an algorithmic procedure, it is slow (much slower than the first method, even when the algebraic reasoning is carried out in your head), but it always works. It is also an approach that can be executed by a machine. True, for such a simple example, it’s quicker to do it by hand on the back of an envelope, but as a general rule, it makes no sense to waste the time of a human brain following an algorithmic procedure, not least because, even with simple examples it is familiarly easy to make a small error that leads to an incorrect answer. But there is another way to solve the problem. 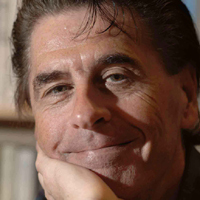 It’s the way I addressed it, and, according to Antonick, who has given it to many professional mathematicians and asked them to vocalize their solutions, the way many math pros solve it. Like the first method we looked at, it is a heuristic, hence instinctive and fast, but unlike the first heuristic method, it always works. This third method requires looking beyond the words, and beyond the symbols in the case of a problem presented symbolically, to the quantities represented. Though I (and likely other mathematicians) don’t visualize it quite this way (in my case it is more of a vague sense-of-size), the following image captures what we do. As we read the problem, we form a mental sense of the two quantities, the cost of the ball-on-its-own and the cost of the bat-plus-ball, together with the stated relation between them, namely that the latter is $1 more than the former. From that mental image, where we see the $1.10 total consists of three pieces, one of which has size $1 and the other two of which are equal, we simply “read off” the fact that the ball costs 5¢. No calculation, no algorithm. Pure pattern recognition. 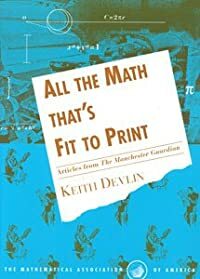 This solution is an example of Number Sense, the critical 21st Century arithmetic skill I wrote about in the January 1, 2017 Huffington Post companion piece to the article I published on the same day as my article about all my math skills becoming obsolete, which I referred to in my last post here on Devlin’s Angle. 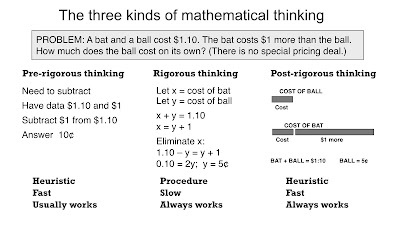 Those three ways to solve the bat-and-ball problem I just outlined are examples of what the famous Australian (pure) mathematician Terrence Tao has called (in his blog), respectively, pre-rigorous thinking, rigorous thinking, and post-rigorous thinking. You can also listen to him explain these three categories in a short video in the Numberphile series. Post-rigorous heuristic thinking is how today’s math pros use mathematics to solve real-world problems. In fact, as Tao makes clear, post-rigorous thinking is what the pros use most of the time to solve abstract problems in pure math. The formal, symbolic, rigorous stuff comes primarily at the end, to check that the solution is logically correct, or at various intermediate points to make those checks along the way. In the case of solving real-world problems, the pros almost always turn to technology to handle any algebraic deductions. In contrast, though pure mathematicians sometimes do use those technology products as well, they often find it much quicker, and perhaps more fruitful in terms of gaining key insights, to do the algebraic work by hand. So, one of the big question facing math teachers today is, how do we best teach students to be good post-rigorous mathematical thinkers? In the days when the only way to acquire the ability to use mathematics to solve real-world problems involved mastering a wide range of algorithmic procedures, becoming a mathematical problem solver frequently resulted in becoming a post-rigorous thinker automatically. But with the range of tools available to us today, there is a good reason to assume that, with the right kinds of educational experiences, we can significantly shorten (though almost certainly not eliminate) the learning path from pre-rigorous, through rigorous thinking, to post-rigorous mathematical thinking. The goal is for learners to acquire enough effective heuristics. To a considerable extent, those heuristics are not about “doing math” as such. Rather, they are focused on making efficient and effective use of the many sources of information available to us today. But before you throw away your university-level textbooks, you need to be aware that the intermediate step of mastering some degree of rigorous thinking is likely to be essential. Post-rigorous thinking is almost certainly something that emerges from repeated practice at rigorous thinking. Any increased efficiency in the education process will undoubtedly come from teaching the formal methods in a manner optimized for understanding, as opposed to optimized for attaining procedural efficiency, as it was in the days when we had to do everything by hand. See Daniel Willingham’s excellent book Why Don’t Students Like School? for a good, classroom-oriented look at what it takes to achieve mastery in a discipline. Now to that UPS routing problem that was the focus of my Nueva School course. [You will find it discussed here.] Here are some of the hints and suggestions about solving the problem I made to the students in the three courses where I used it. Whether they followed my advice was entirely up to them. The purpose of the course was not to solve the problem unaided—even an entire semester would not be enough time for that with students who had never approached a problem the way the pros do. Rather, it was to give them an experience of the method. Then, start out by using Google to find out what you can about the problem domain, and any attempts made by others to solve it. Whenever you come across a reference to a concept, an approach, or a method that you suspect might be relevant, use general Web resources like Wikipedia to get an initial understanding of what they are and what they can do. Follow any leads your search brings up to solutions of problems that look similar. Note what methods were used to solve them. When you get to a point where you need to perform a specific calculation, perhaps because you have found a solution to a very similar problem someone else has obtained and published, but your data is different, use Wolfram Alpha. 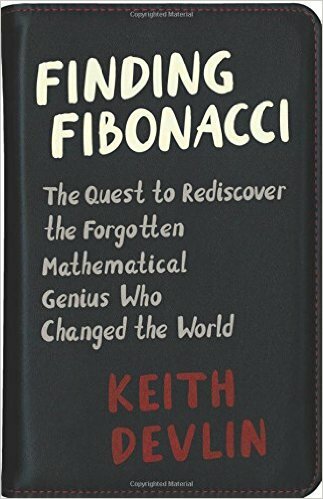 It is structured so you can use pattern recognition (of formulas) to identify the appropriate technique and then edit the example provided to be the one you want to solve. Reinforce your use of Wolfram Alpha by using YouTube to find suitable videos that provide you with quick tutorials on the technique. The resources I just mentioned are all listed on that chart of “Important Mathematical Technology Tools” I published with the first two articles in this series. As it turns out, with the UPS routing problem, the sequence of steps I have outlined so far quickly leads to identification of a small number of possible solution techniques for which there are many very accessible YouTube videos, and in fact, for this problem there is no need to go much further into my list of tools, if at all. You should, though, check out the various other resources on my list, to see what they offer. Each new problem has to be approached afresh, in its own terms. Twitter is on my list because it is my list, and I have sufficiently many math-expert Twitter followers that a quick tweet can often yield just the information I need, saving me having to send out a slew of emails to people I think might be able to help. LinkedIn is also idiosyncratic to me, since I have a good network of mathematics and technology professionals I can contact. But the other resources are pretty generic. Interestingly, in the final meeting of my Princeton class (which was the fist time I used the UPS problem in a course), after having the student teams present their solutions, I gave the solution I had obtained, at the end of which two individuals came up to me to say they hoped I had not minded their sitting in on the class. (It was an experimental course, and there had been strangers sitting in for one or two sessions throughout the semester, so I had not paid them any attention.) They were, they said, postdocs working with Professor X, who was a math consultant for UPS and had worked on the algorithm the class and I had been trying to reverse engineer. Hence their curiosity-driven attendance on the last day! Unbeknownst to me, my final lecture had been my oral exam! “How did I do?”, I asked. “You got it pretty well right,” they replied. Which was nice for me, but it would not have mattered if I had followed a different track. What was important from an educational standpoint was the process. If you are not familiar with this way of solving math problems, it may not seem like an approach that will work. But it does. It is, in fact, how all of today’s pros do it! Without an expert consultant, the heuristics approach to solving real-world problems can work, but it definitely goes a lot faster, and with a far great likelihood of success, if you have a math expert you can call on. Not to “do any math.” Computer systems handle those parts. Rather to help you negotiate the vast array of resources at your disposal and select the most promising one(s) to try next. For that is what using mathematics to solve a real-world problem really boils down to these days: managing resources. And managing resources is something humans are innately good at. Natural selection always favors those creatures which are best able to manage the available resources. We are here as present-day humans because as a species we are good at doing that. What is new in the case of mathematical problem solving is that pieces of mathematics (formulas, equations, procedures, algorithms, techniques) are now among the “intellectual Lego pieces” (freely accessible on the Web) we can use as we assemble a solution. As the students in my three courses could, in principle, attest, you don’t need vast expertise in mathematics to work this way. You just need to be a good thinker able to work in a small team. I say, “in principle,” since I think it highly likely most of not all the students felt they did not do much at all by way of using math to solve a problem. But that, I would say, is because they have a conception of “using math to solve a problem” rooted in the Nineteenth Century, if not the Fourth Century BCE. From my perspective, they absolutely were able to do what I just said they did. What does not count, at least to any extent even remotely approaching the prohibitive degree it used to, is the ability to “do the math.” You just need to be able to select (hopefully, with help from someone with experience) the right pieces from the available online mathematical smorgasbord, and stitch them together in an appropriate way. In fact, another way to look at the recent revolution in how we “use math” to solve real-world problems, is that it has brought “using math” into the mainstream of human group activities we naturally find enjoyable. At heart, mathematical thinking is little more than formalized common sense. It always has been. Which means it is something we can all do. (In my 2000 book The Math Gene, I presented an evolutionary explanation for the human brain’s acquisition of the ability to do mathematics, which implied that mathematical capacity is in the human gene pool, and hence available for all of us to “switch on.”) What caused many people problems over the centuries was that, before we had technologies that could handle the formal symbol-manipulation stuff, the only way to employ our innate capacity for mathematical thinking was to train the brain to do those manipulations. But manipulating algebraic symbols with logical precision is most definitely not something our brains evolved to do. (Our early ancestors’ lives on the savannas did not present much by way of a need for algebra.) So we find it very hard. Only with great effort over several years can we train our brains to do such work. And even then, we are error-prone. Incidentally, practically everything I have said in this article applies to the way 21st Century coders work. In coding as in mathematics, the days are long gone when it was all about writing thousands of lines of instructions. The modern-day mathematician’s Web resource MathOverflow (on my chart of useful math tools) was modeled on, and named after, the coding world’s StackOverflow. Both groups of professionals use heuristics. In today’s world, highly regarded math problem solvers and good coders have simply acquired a richer and more effective set of heuristics than the ones who are less highly ranked. And for the most part, developing heuristics is a result of reflective experience, not some innate talent. And there you have it. The primary goal in 21st Century mathematics-education-for-all is the development of a good repertoire of heuristics. I’ll leave you with a graphical summary of Tao’s categorization of the three kinds of mathematical thinking we can bring to problem-solving. I introduced this categorization above to provide a perspective on the three phases each one of us has to go through to become proficient mathematical (real-world) problem solvers. But it also provides an excellent summary of three historical stages of mathematical thinking as it has evolved over the past ten thousand years or so, from the invention of numbers in Sumeria, where the mathematical thinking of the time was accessible to all, through three millennia of formal mathematics development, where many people were never able to make effective use of it, and now into the third phase, where, because of technology, mathematical thinking can once again be accessible to all. To be sure, we do not know the degree to which people have to master rigorous thinking to become good post-rigorous thinkers. As I already noted, I don’t for a second imagine that stage can be by-passed. (See the Willingham book I cited.) But, given today’s technological toolkit, including search, social media, online resources like Wolfram Alpha and Khan Academy, and a wide array of online courses, it is absolutely possible to master most of the rigorous thinking you need “on the job,” in the course of working on meaningful, and hence motivational and rewarding, real-world problems. This is not to say there is no further need for teachers. Far from it. Very few people are able to become good mathematical thinkers on their own. Newtons and Ramanujans, who achieved great things with just a few books, are extremely rare. The vast majority of us need the guidance and feedback of a good teacher. What the inevitable transition to 21st Century math learning requires is that mathematics teachers operate very differently than in the past. The days where you need a live person to deliver information are largely over. Today, teaching is much more a matter of being a coach and mentor. To be sure, you can occasionally find such teaching on the Internet, but it works only if you can be one-on-one with that teacher. I expect there will be change, but I don’t expect an economy of scale. If I had to make a guess, I would predict that in due course you will find your (specialist) math teacher by going online to a Math-Teacher-Match.com website, where you will be paired with a practicing 21st Century math professional who spends part of each day coaching and mentoring students.